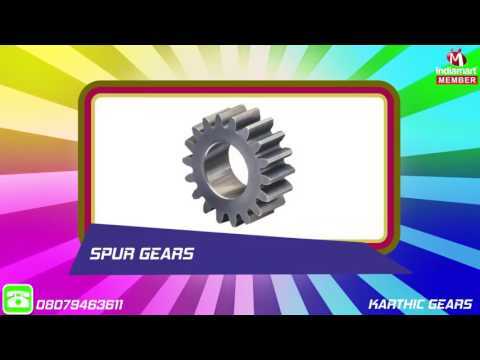 Incepted in the year 1999, at Coimbatore (Tamil Nadu, India), we %u201Ckarthic gears%u201D, are indulged in Manufacturing, Exporting and Supplying Gear Boxes & Parts. Produced using fine grade raw material that is procured from trustworthy vendors, these are appreciated for their features like corrosion resistance, efficient functioning, and durability. Our team of efficient professional works diligently to produce the quality range of gear boxes and parts and ensures that the quality is sustained at all steps of manufacturing.